The NEW Country Vibram® is the latest highly innovative country boot from Le Chameau, replacing the popular Le Chameau All Tracks. 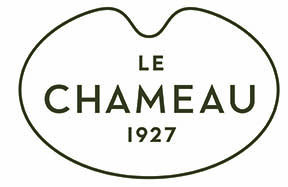 It now features Le Chameau’s exclusive Vibram ® sole for outstanding comfort and grip in all conditions. Available in signature Le Chameau olive green and is finished with an attractive stitched leather effect edging at the top of the boot. Jersey cotton lined for comfort. The Le Chameau Country Vibram is light to wear and suitable for all year round use. **NB** Sizes 37, 38 and 39 have a decorative buckle. Sizes 40 and above do not have the buckle and are as the image. Exactly the same Le Chameau wellingtons as purchased a couple of years ago but at a much more competitive price. Easy to order, prompt delivery. Very pleased with the service overall.